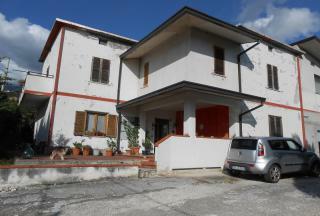 Attractive THREE BEDROOM TOWNHOUSE in the CENTRE of INTRODACQUA. It is WITHIN WALKING DISTANCE of the town's SHOPS, RESTUARANTS and BARS. This property BENEFITS from OUTSIDE SPACE in the form of BALCONIES, PANORAMIC ROOF TERRACE and delightful GARDEN. PRETTY FARMHOUSE in the POPULAR AREA of LORETO APRUTINO. 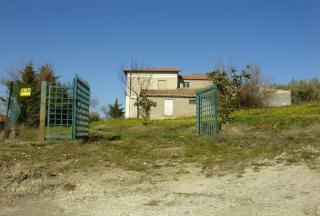 It has TWO BEDROOMS and nearly TWO HECTARES of LAND. It is IMMEDIATELY HABITABLE and has a GARAGE and LARGE TERRACE. 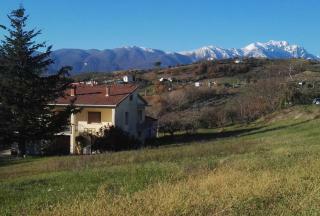 The property has plenty of POTENTIAL and has lovely VIEWS, towards the MOUNTAINS, over surrounding COUNTRYSIDE. A large COUNTRY HOUSE with FLEXIBLE ACCOMMODATION and over a HECTARE of LAND. It is in a TRANQUIL POSITION and has MAGNIFICENT VIEWS. The land is perfect for GROWING VEGETABLES and/or keeping ANIMALS. It is only TWO MINUTES from PALOMBARO with a selection of SHOPS. 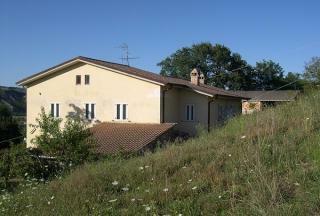 A COUNTRY HOUSE with TWO BEDROOMS and a large plot of LAND. 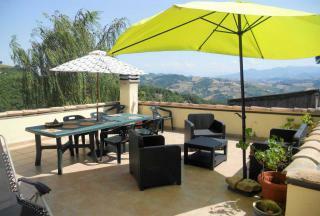 It is located CLOSE to the town of BASCIANO and has LOVELY VIEWS. 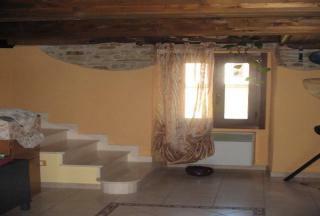 DETACHED, COUNTRY HOUSE with THREE BEDROOMS, TERRACE, GARAGE, BARN and OLIVE GROVE. 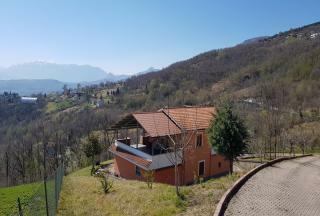 The property is IMMEDIATELY HABITABLE and has PANORAMIC VIEWS. It COMES with ONE HECTARE of LAND and there is the POSSIBILITY to PURCHASE up to SEVEN HECTARES MORE. LARGE, THREE BEDROOM, TOWNHOUSE in the VILLAGE of FRISA. It is only a SHORT DRIVE to the TOWN of LANCIANO and ADRIATIC COAST. The property has a TERRACE and GARDEN. It is IMMEDIATELY HABITABLE and only needs COSMETIC WORKS and REDECORATING to make a COMFORTABLE HOME. 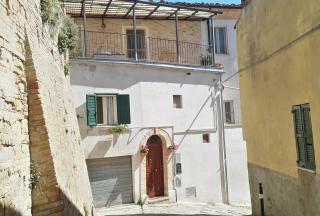 ATTRACTIVE, THREE BEDROOM, TOWNHOUSE in the HISTORICAL CENTRE of SILVI PAESE. The property has been SYMPATHETICALLY RESTORED to MAINTAIN ORIGINAL FEATURES. There is a BALCONY and SEA VIEWS. 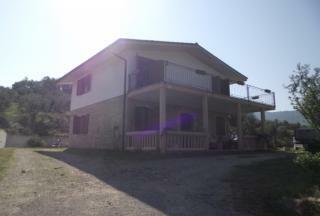 The house is within WALKING DISTANCE of AMENITIES and a SHORT DRIVE to the AIRPORT and ADRIATIC COAST. FOUR BEDROOM, DETACHED HOUSE located close to the HISTORIC TOWN of LORETO APRUTINO, with plenty of SHOPS, RESTAURANTS and BARS. There are TWO ROOMS which still need COMPLETING at a cost of €10,000 and it is possible to DIVIDE the house into TWO APARTMENTS. The property has 3,000 SQ. METRES of LAND. THREE BEDROOM, DETACHED HOUSE which is IMMEDIATELY HABITABLE. The property has a GARDEN, PATIO and UNDERCOVER PARKING. 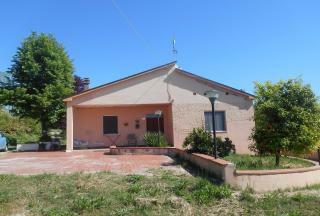 It is in GREAT LOCATION, close to the TOWN of POLLUTRI and the ADRIATIC COAST. Ideal for a HOLIDAY or PERMANENT HOME. 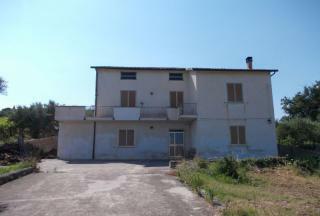 TRADITIONAL, COUNTRY HOUSE which needs FULL RESTORATION and can be EXTENDED. It is 1 km from the CENTRE of COLONNELLA with all its AMENITIES, and CLOSE to GOLDEN BEACHES of the COAST. The property comes with LAND and VIEWS of the ADRIATIC. GOOD POTENTIAL for a NEW HOME. 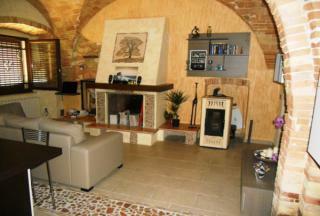 TWO BEDROOM, APARTMENT which is on the TOP FLOOR of a PALAZZO in the HISTORICAL CENTRE of PENNE. It has been COMPLETELY RENOVATED and the VAULTED CEILINGS have been PRESERVED. The property has BALCONIES from which there are PANORAMIC VIEWS towards the SEA and MOUNTAINS. READY to MOVE INTO. A delightful ONE BEDROOM APARTMENT in an historic building. It comes with a LARGE TERRACE for enjoying the 'al fresco' life. 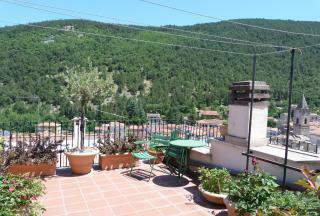 DELIGHTFUL, TWO BEDROOM, APARTMENT in the SOUGHT-AFTER TOWN of SPOLTORE. It has been SYMPATHETICALLY RESORED with attention to PRESERVING ORIGINAL FEATURES. 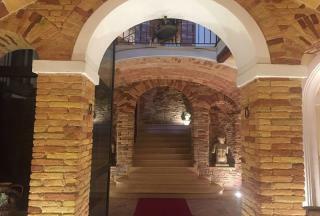 The property is in a 17th CENTURY PALAZZO with ELEVATOR. It has a BALCONY and is within WALKING DISTANCE of SHOPS, RESTAURANTS and BARS. Located in the PEACEFUL COUNTRYSIDE, near MONTEBELLO DI BERTONA is this DETACHED HOUSE, built in 2001 to ANTI-SEISMIC standards. It is divided into TWO SELF-CONTAINED APARTMENTS, each with TWO BEDROOMS. There is LAND with OLIVE TREES, GARDEN, VIEWS, EXTERNAL STORAGE plus various ANNEXES. RESTORED, THREE BEDROOM TOWNHOUSE in the much SOUGHT AFTER TOWN of LORETO APRUTINO. It is TASTEFULLY RENOVATED to PRESERVE ORIGINAL FEATURES but has a MODERN KITCHEN and BATHROOMS. 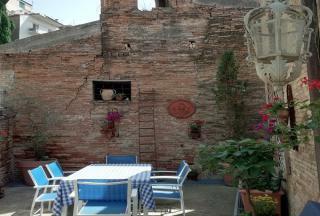 The property BENEFITS from an ANCIENT TERRACE with BBQ. VIEWING RECOMMENDED. COMPLETELY, REBUILT. HOUSE with TWO BEDROOMS, TERRACE, SMALL GARDEN and PARKING. The property has INTERESTING FEATURES including VAULTED CEILINGS and BRICK ARCHES. SPACIOUS, THREE BEDROOM HOUSE with BALCONY, GARAGE and GARDEN. It is IMMEDIATELY HABITABLE, FINISHED to a GOOD STANDARD and is CLOSE to the ADRIATIC. Within WALKING DISTANCE of POGGIOFORITO'S CENTRE with SHOPS, BARS, POST OFFICE, BANK and PHARMACY, it a PERFECT PERMANENT or HOLIDAY HOME. 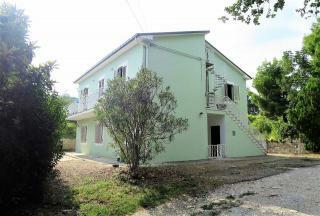 DETACHED, FIVE BEDROOM HOUSE which is DIVIDED into TWO APARTMENTS, IDEAL for RENTAL. It is NEAR the TOWN of MOSCUFO with SHOPS and RESTAURANTS. 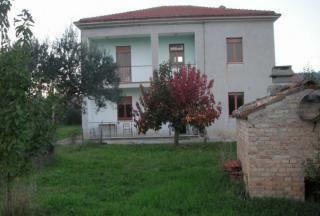 The house COMES with BALCONY, LOVELY VIEWS and LAND, cultivated with OLIVE TREES. There is also the possibility to PURCHASE a LARGE BARN. 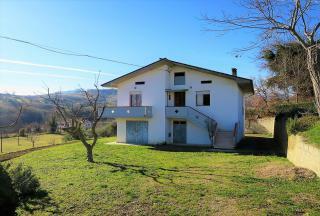 DETACHED HOUSE with FANTASTIC VIEWS to the MAIELLA MOUNTAIN, ADRIATIC and over SURROUNDING COUNTRYSIDE. It has a GARAGE, CELLAR, TERRACE and GARDEN with FRUIT TREES. There is the POSSIBILITY to OBTAIN a THIRD BEDROOM and CREATE a SWIMMING POOL. Ideal as a PERMANENT or HOLIDAY HOME. 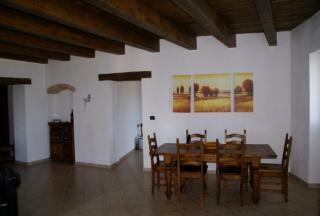 SYMPATHETICALLY RESTORED, TWO BEDROOM, FARMHOUSE with many TRADITIONAL FEATURES. 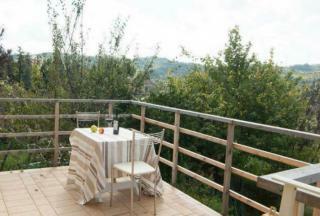 It is the LOCATED in the COUNTRYSIDE and has ENCHANTING VIEWS of the HILLS and ADRIATIC. The property has LAND with OLIVE and FRUIT TREES. Ideal as a HOLIDAY HOME. 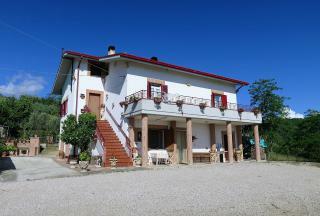 DELIGHTFUL COUNTRY HOUSE which is CLOSE to PENNE. CURRENTLY DIVIDED into TWO APARTMENTS, it has FOUR LARGE BEBROOMS, but could EASILY be used as a SINGLE HOME. 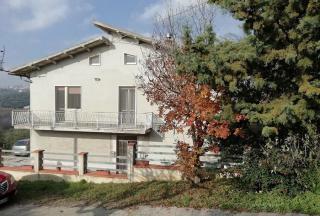 The property has a GARDEN, PARKING and OLIVE GROVE. INTERNALLY, it is FULLY RESTORED, whilst some EXTERNAL WORK is STILL NEEDED. GOOD VALUE. 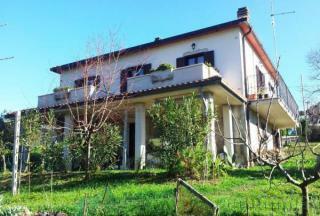 This beautiful DETACHED HOUSE is just a few minutes from the delightful town of BISENTI. It is divided into TWO APARTMENTS and offers an opportunity for rental. GREAT VIEWS! COUNTRY HOUSE which is currently DIVIDED into TWO APARTMENTS. It is a SHORT DISTANCE from BISENTI which boasts MANY FACILITIES. 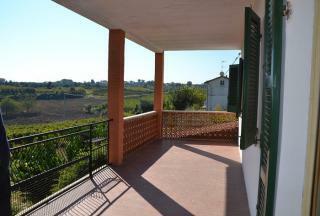 The property has a GARAGE, BALCONIES, SPECTACULAR VIEWS and LAND, with OLIVE and FRUIT TREES. There is the POTENTIAL to use as a SINGLE HOME or have a RENTAL BUSINESS. 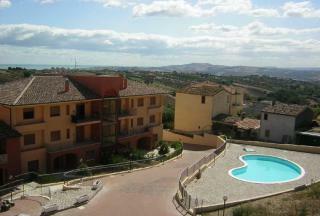 THREE BEDROOM, TOWNHOUSE located in the DELIGHTFUL TOWN of PENNE. It has been RENOVATED to MAINTAIN TRADITIONAL FEATURES and has a TERRACE, with VIEWS, for AL FRESCO LIVING. The property is within WALKING DISTANCE to SHOPS and RESTAURANTS. 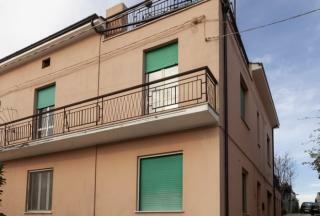 LARGE, THREE BEDROOM, APARTMENT in the RESIDENTIAL AREA of BELLANTE STAZIONE, TERAMO. It is just 5 MINUTES WALK to the TRAIN STATION and SHOPS and 15 MINUTES' DRIVE to the BEACH. It is LOW MAINTENANCE and would make an EXCELLENT HOLIDAY HOME. It comes with GARAGE, FURNITURE, BALCONY and VIEWS. 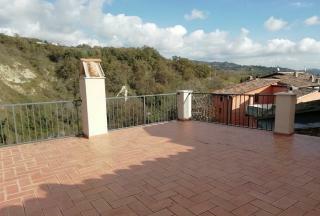 THREE BEDROOM DETACHED FARMHOUSE located in the COUNTRYSIDE, close to the HISTORIC town of CASTIGLIONE MESSER RAIMONDO. The property comes with ANNEXES, TERRACE, LAND and VIEWS. 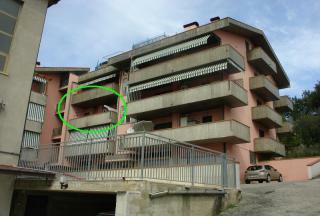 ONE BEDROOM, APARTMENT which is LOCATED in VASTO MARINA, only 200 METRES from the SEA. It has a GARAGE and TERRACE with SEA VIEWS. The MANY FACILITIES of VASTO TOWN are NEARBY. QUICK and EASY ACCESS to the BEACH! 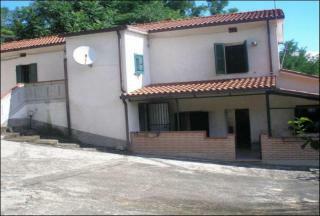 TWO BEDROOM, DETACHED, COUNTRY HOUSE located in a TRANQUIL POSITION just TEN MINUTES from PENNE. 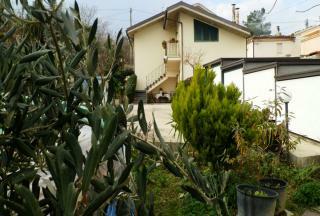 It has a GARDEN and is CLOSE to the ADRIATIC COAST, MOUNTAINS and AIRPORT. IDEAL PERMANENT or HOLIDAY HOME. DELIGHTFUL, TWO BEDROOM, TOWNHOUSE which has been SYMPATHETICALLY RESTORED to expose BEAUTIFUL VAULTED CEILINGS. 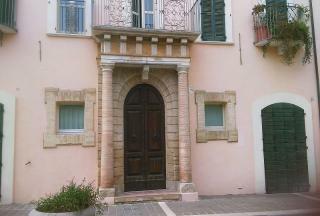 It is SITUATED in the HISTORICAL CENTRE of PIANELLA and is CLOSE to the AIRPORT and COAST. The property has a TERRACE, GARDEN and VIEWS. It comes FURNISHED. DELIGHTFUL, TWO BEDROOM, DETACHED HOUSE with TERRACE and LARGE GARDEN. 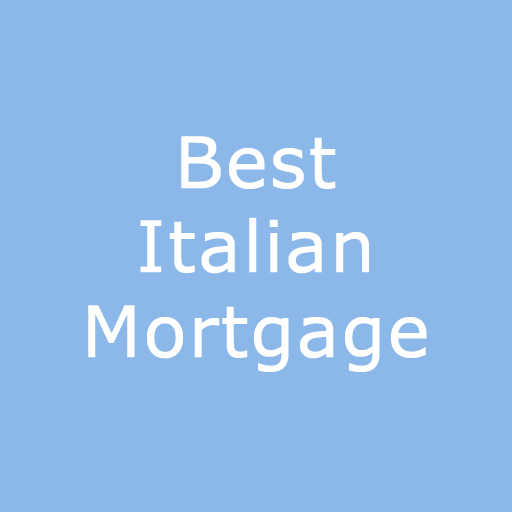 The house has some ATTRACTIVE, TRADITIONAL BRICK-FACED VAULTS and is CLOSE to the HISTORICAL TOWN of PENNE with all is FACILITIES. Ideal as a PERMANENT or HOLIDAY HOME. CHARACTERISTIC, THREE BEDROOM, MAJELLA STONE HOUSE in ROCCAMARICE within WALKING DISTANCE of the VILLAGE CENTRE. It has been SYMPATHETICALLY RESTORED to HIGHLIGHT its ORIGINAL FEATURES. It comes PARTIALLY FURNISHED and is in EXCELLENT CONDITION. 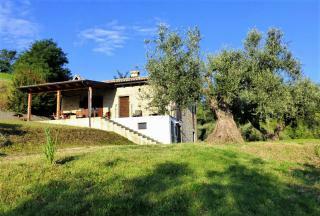 COUNTRY HOUSE with LAND and OLIVE GROVE situated AMIDST BEAUTIFUL, AGRICULTURAL LANDSCAPES and GREEN ROLLING HILLS. It has an AMAZING VIEW of the CALANCHI (ancient clay rocks/ravines) and is only a FEW MINUTES from the CHARMING VILLAGE of BUCCHIANICO. The house is HABITABLE and comes FURNISHED. 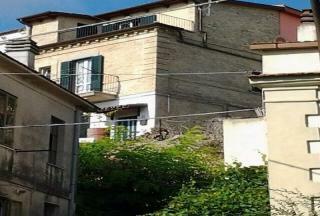 THREE BEDROOM, STONE TOWNHOUSE which is located in CERCEMAGGIORE, close to AMENITIES. It has recently been RESTORED with the POTENTIAL for ADDING a GUEST SUITE. 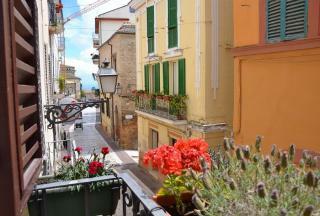 RESTORED, ATTIC, APARTMENT, close to ADRIATIC COAST and in the DELIGHTFUL, HISTORICAL, TOWN of SAN VITO CHIETINO. It has TWO BEDROOMS and TRADITIONAL FEATURES which were MAINTAINED during RENOVATION. RECOMMENDED. THREE BEDROOM VILLA which is IMMEDIATELY HABITABLE. 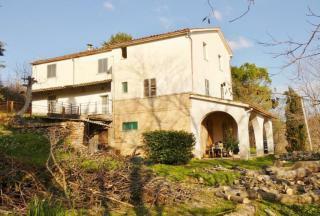 It has a LARGE PANORAMIC TERRACE and SURROUNDING LAND planted with OLIVE TREES. FIVE BEDROOM, DETACHED HOUSE, close to the CENTRE of POGGIOFIORITO with its SHOPS, BARS and RESTAURANTS. It has AGRICULTURAL LAND, separate CELLAR/STOREROOM, MOUNTAIN and SEA VIEWS. Possibility to create a GUEST ANNEX. LARGE, THREE BEDROOM, COUNTRY HOUSE with LAND, BARN, BALCONY and VIEWS. It needs MODERNISATION but has GOOD POTENTIAL either as a SINGLE RESIDENTIAL HOME or B & B. 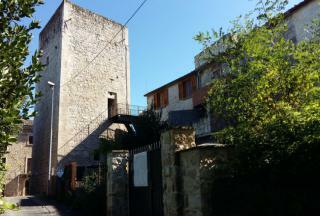 It is LOCATED close to the HISTORICAL TOWN of PENNE with MANY FACILITIES. LARGE, THREE BEDROOM, APARTMENT ideally located WITHIN WALKING DISTANCE of SHOPS, BARS and RESTAURANTS. The property is RECENTLY RESTORED and MAINTAINS ORIGINAL FEATURES including DELIGHTFUL FRESCOES. It has a PANORAMIC TERRACE for AL FRESCO LIVING. FOUR BEDROOM, COUNTRY HOUSE in a BEAUTIFUL, COUNTRYSIDE LOCATION. It is CLOSE to the HISTORIC TOWN of PENNE which boasts plenty of SHOPS, RESTAURANTS, BARS and CAFÉS. The property comes with a GARAGE, BALCONY and SURROUNDING LAND. EXCELLENT VALUE. TWO BEDROOM, TOWNHOUSE with BALCONY, TERRACE and FANTASTIC SEA VIEW. It is IMMEDIATELY HABITABLE and comes with a PARKING SPACE. 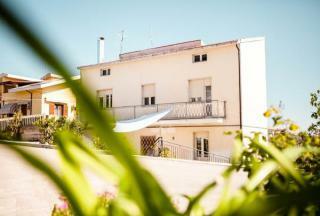 It is in a DELIGHTFUL POSITION, CLOSE to the COAST and the much SOUGHT AFTER TOWN of VASTO. SIX BEDROOM DETACHED HOUSE located within WALKING DISTANCE of FRONDAROLA VILLAGE. It has THREE FLOORS, EACH with an INDEPENDENT APARTMENT. The LOWEST FLOOR is HABITABLE although it would BENEFIT from MODERNISATION/DECORATION. The TOP TWO FLOORS need COMPLETE RENOVATION. Good RENTAL POTENTIAL. 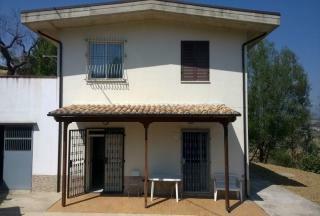 THREE BEDROOM, DETACHED HOUSE near PIANELLA. The property is IMMEDIATELY HABITABLE and benefits from a FENCED GARDEN, BALCONY and TWO CELLARS which are perfect for RENOVATION. GREAT POSITION close to SKI, COAST and AIRPORT. A LARGE PROPERTY with SIX BEDROOMS, SIX BATHROOMS and TERRACE. 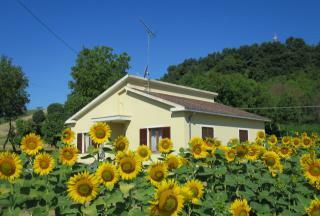 It is located in the DELIGHTFUL VILLAGE of BISENTI. Ideal for CONVERSION into a BED & BREAKFAST. 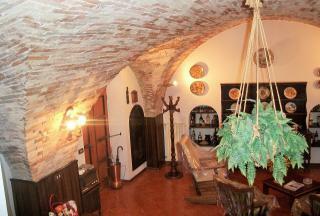 FOUR BEDROOM, COUNTRY HOUSE just THREE KILOMETRES from CASTIGLIONE MESSER RAIMONDO with RESTAURANTS and FOOD SHOPS. It has a LARGE BARN and 3,000 SQ. MTS. of LAND with the POTENTIAL to BUY MORE. IMMEDIATELY HABITABLE. 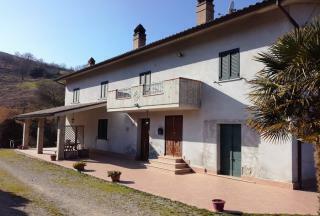 Spacious FOUR BEDROOM HOUSE located just 5 km from the HILLTOP TOWN of CELLINO ATTANASIO with its history and facilities. The property is in a TRANQUIL POSITION and has a PANORAMIC TERRACE, LARGE GARDEN and SCENIC VIEWS. IMMEDIATELY HABITABLE. THREE BEDROOM, COUNTRY HOUSE with over ONE ACRE of LAND. The property is HABITABLE and would BENEFIT from a LITTLE UPDATING to MEET MODERN STANDARDS. It comes with an OUTBUILDING including LARGE GARAGE and KITCHEN. The TERRACE has DELIGHTFUL MOUNTAIN VIEWS and is only a SHORT DISTANCE to the COAST.